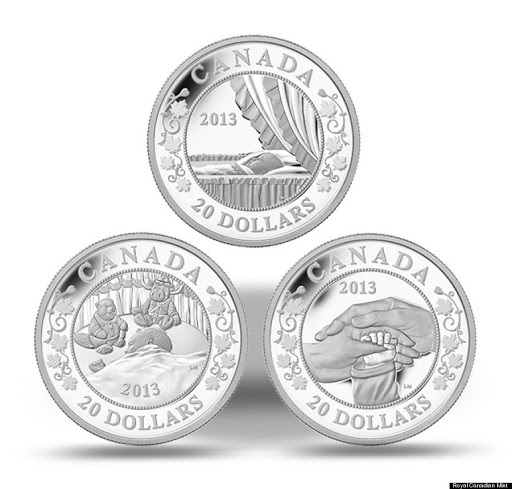 …many happy returns to the canadian mint roral tot…! …Canada was the last one or of the last ones to come out of the Dark middle ages, soon after year 2,000 , as to Court Papers headings of : …”The Queen E2 defender of “THE FAITH”…! etc…”…! …now Canada makes a mint to the Royal Tot, which I hope does not get any disease, is not affected in any way by exterior rouge chemicals his “normal” development, and never gets human made Cancer, heart disease, pestilence, loose an eye, has to smoke or drink etc…! …i hope this kid is not a spoiled “jerk” like his Dad is…! THAT THINKS poor English love him, and have enough to live well on, and that they are not hungry and dispossessed…! …it would do him good to be “mangled” or crippled, or fall down a stairs, or over a cliff…! ← …severe shallow Earthquake South of Panama, near Colombia…!